Check Out This Disc Golf Answer Man Special Episode! If you ask us, every episode of the Disc Golf Answer Man is special, but on this particular occasion, we had some pretty awesome people join us. 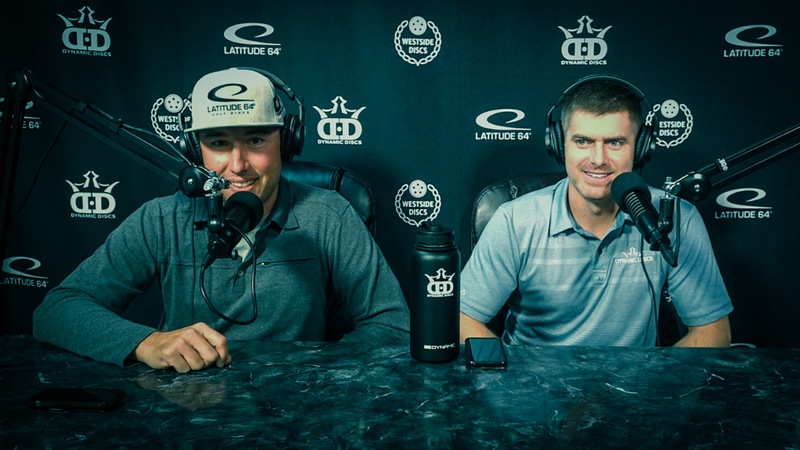 Both Jeremy Rusco, CEO of Dynamic Discs, and Tyler Searle, long-time DD employee and RV driver, stopped by to share some info about upcoming events, RV changes, and more. Look for glow events coming soon in addition to the other DD events like C-tiers, dubs, and disc challenges. If you’re running a tournament or local work party, you can’t use social media enough! Share from your club page, personal Facebook page, or do a live video. The more you’re out there, the better the odds that people will see it. Keep your eyes out for the DD RVs in a more regional setup, with our awesome drivers putting on events and having a presence at major 2018 events. We’re aiming for a better work-life balance for these guys while still being out there for all of you! Jeremy talks about the 2018 Trilogy Challenge discs - what are they? Watch the video and find out! More info about adding players to the team and info about new Westside products can be found in this short and sweet one hour video.